While I was home for Fall Break back in October, my boyfriend and I decided to take his dog for a walk at our local park. Surrounded by woods, it was not uncommon to see critters of all kinds there. Groundhogs, squirrels, chipmunks, and of course, rabbits inhabited the green space. So, we weren't at first so surprised that, along the side of the narrow road through the park, we came across a bunny. 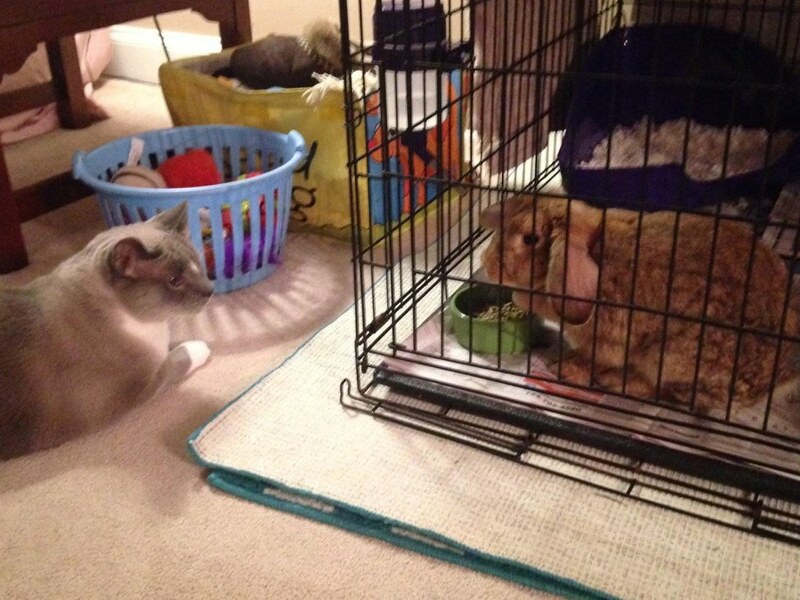 Justin turned to me and said, "Look at that rabbit! It's huge!" It took me a moment to see it sitting calmly in the grass. "Yeah...do you think it's a wild rabbit?" I said. 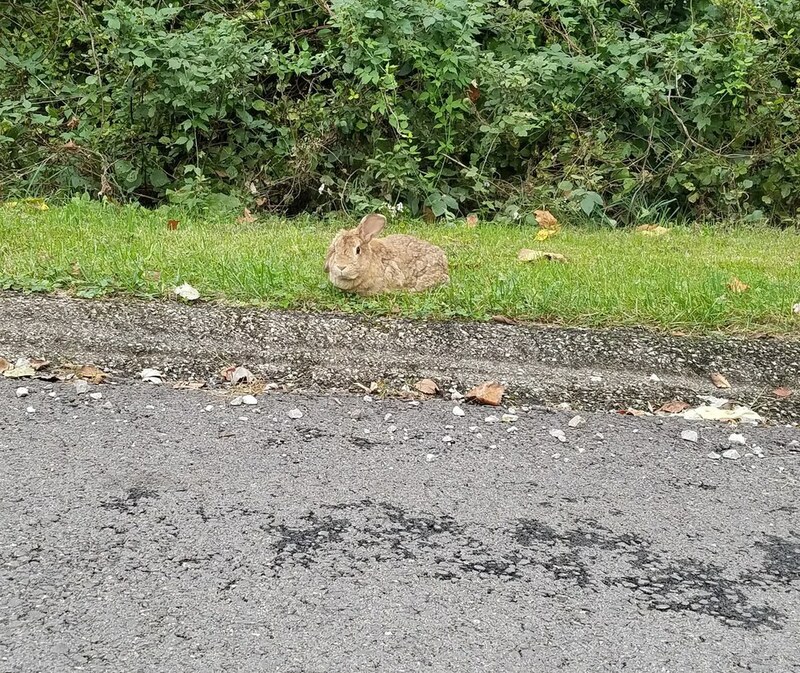 At first glance, the bunny we saw across the pavement seemed to have similar coloring to that of a wild rabbit. But this bunny was much bigger than any Eastern Cottontail I had ever seen, and one of its ears flopped downwards while the other stood straight up, reminding me of the propellers of a helicopter. After thinking for a moment, Justin turned to me and said, "I don't know. I'll stay with Cooper [his dog] and you try walking up to it. See how close it lets you get." The rabbit hopped up to me, sniffed my hand cautiously, and then allowed me to pet lightly between its ears. 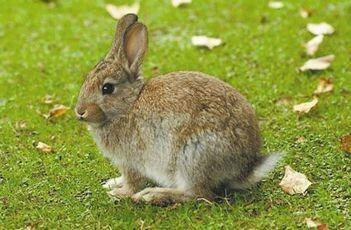 Knowing next to nothing about bunnies, we called a friend to get a second opinion. 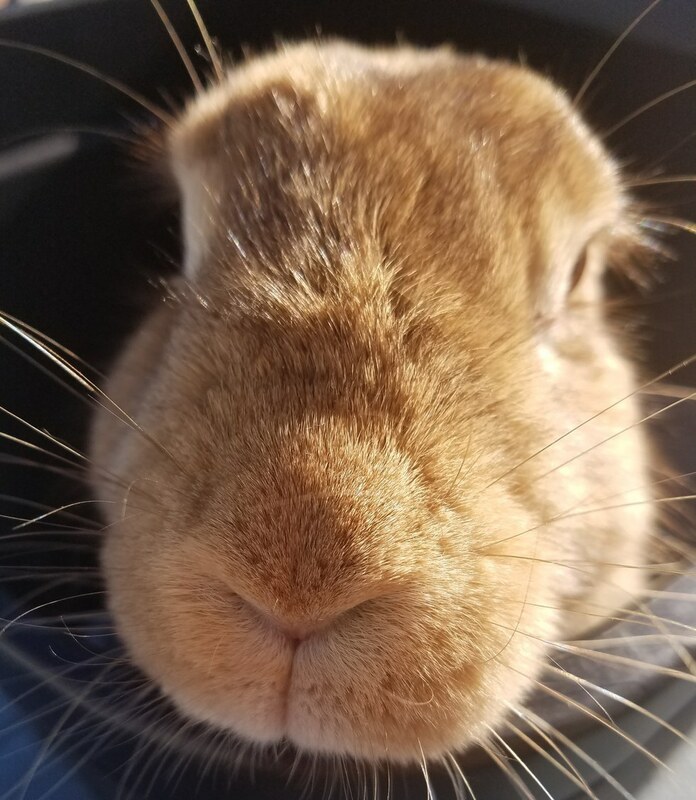 After she examined the pictures we sent, she insisted that it was, in fact, a domesticated rabbit that was likely abandoned. So, my boyfriend and I wrapped the bunny up in a blanket and brought it home with us. 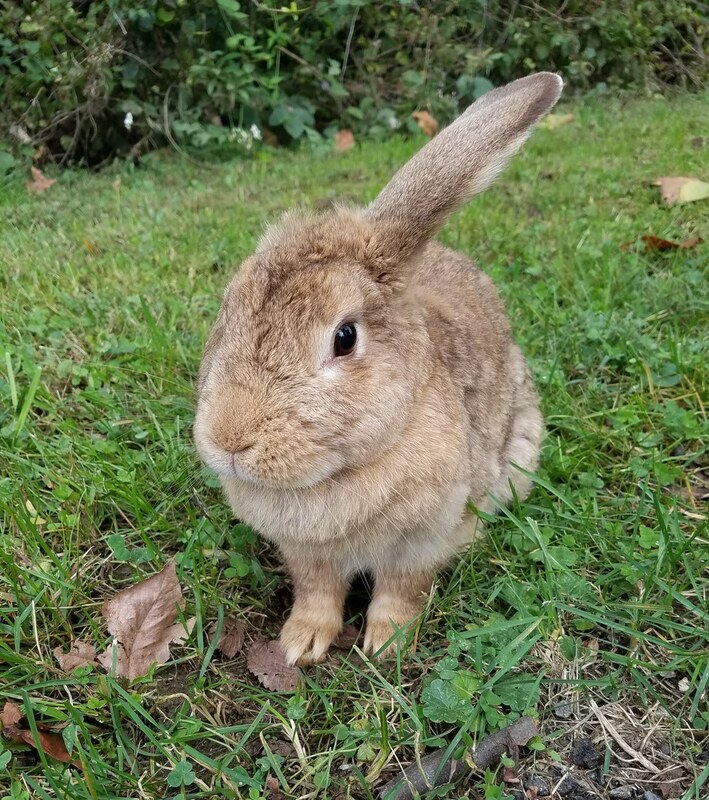 The next day, we drove to several different shelters to try to find somewhere to take Forrest Pumpkin Bun Bun (Yes, we named the bunny. Wouldn't you?) so that he (or she) could find a new forever home. But, the rescue organizations we went to were at capacity and begged us to keep it for at least a few more weeks. So, we took it back with us to Justin's parent's house. Justin and I were leaving for school the next day, and we were running out of options. We found a friend that was willing to take it, but by that point, I was already attached. I called my parents. My dad told me that, and I quote, "it'll be nice to have a little bunny in the house." And that was the end of it. We officially had a new pet. The next week, my parents took the bunny to the vet and found out that it was a girl. 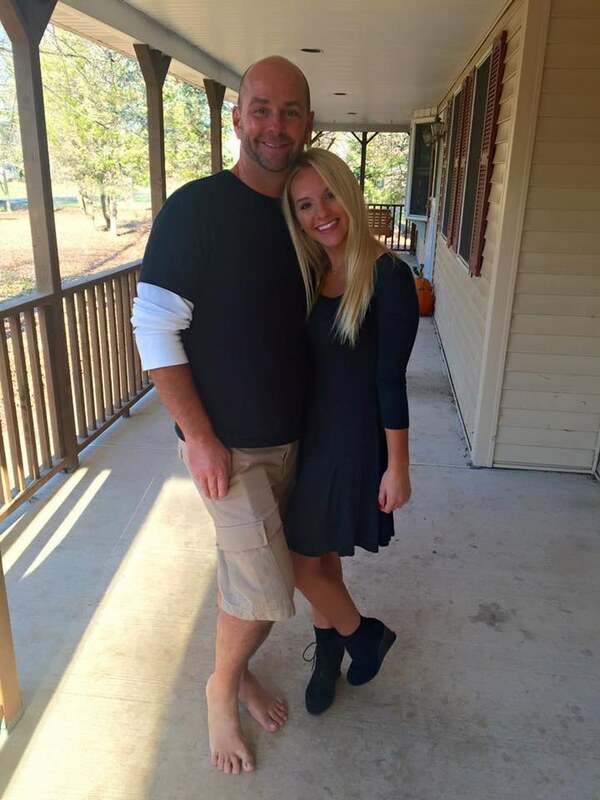 So, she became simply....Pumpkin. That's when things got really interesting....The vet told my parents that there was a chance that Pumpkin could be pregnant, but that it may be too early to tell, and that they would know in about 30 days. 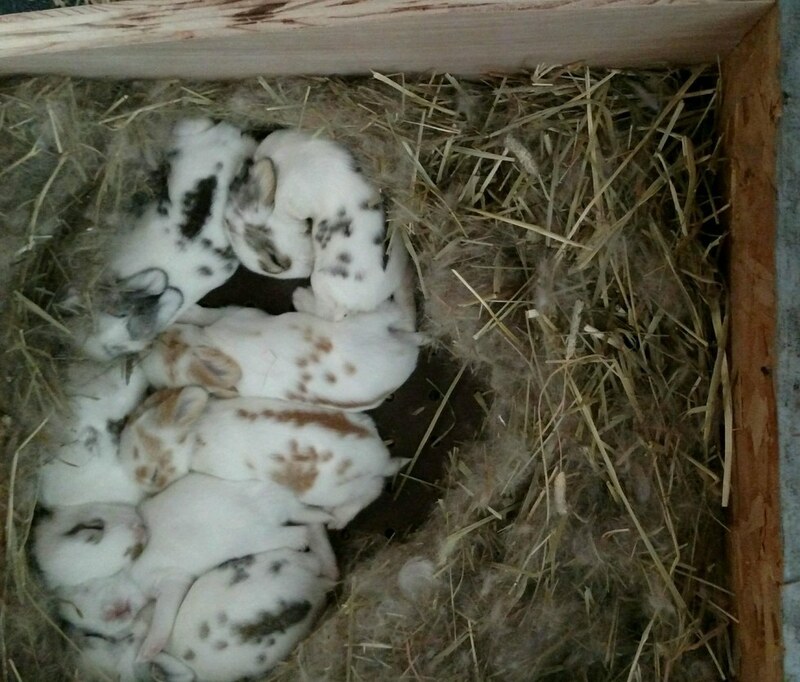 28 days after we found her at the park, Pumpkin gave birth to 7 baby bunnies. Within 2 weeks, they were already developing into little fluffy balls of joy. 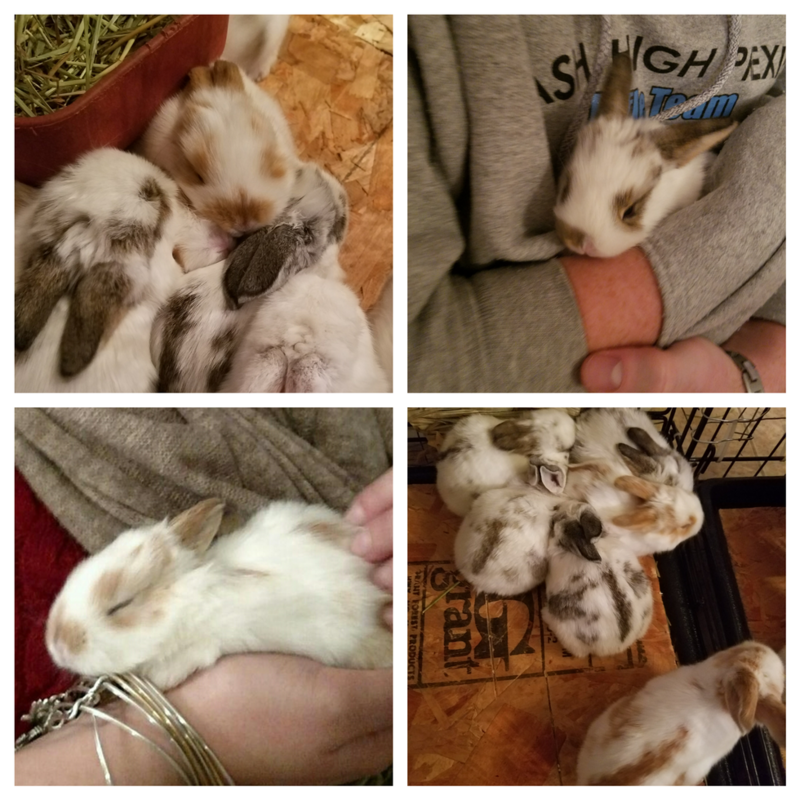 Long story short, my parents are now caring for a total of 8 rabbits, when they only signed up to take care of one. I honestly could not thank them enough for being crazy enough animal people to take on this daunting task. But between you and me, I secretly think that they're actually really enjoying this crazy experience. Please enjoy the sickeningly adorable pictures of the baby bunnies below. I literally cannot stop looking at them. Please be responsible pet owners, friends. Our pets love us and are forever loyal to us. Besides, who could possibly abandon this sweet face?